Working quietly away in tell it slant you might come across our latest poet in residence, Clydebuilt poet Liz Bassett. 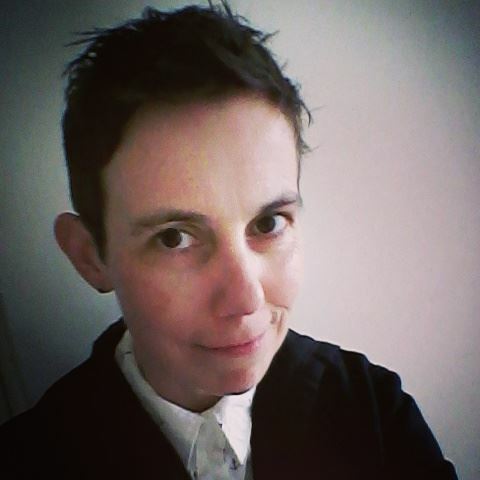 A mentee of Gerry Loose, Liz writes poems about skies and elephants and the occasional ship. In her poems people fall asleep under their duvet and wake up under lines of migrating geese, and in love. Her poems have been placed in the Bridport competition, short listed for the Plough Prize, and been published by The Red Wheelbarrow, Agenda Broadsheet, White Leaf Review, The Guardian Poetry Workshop, and in the anthologies My Mother Threw Knives (Second Light Publications), Solitaire (Templar Poetry)and New Poets from Britain and America (White Leaf Press). She is a reviewer for Sphinx (HappenStance Press). Her pamphlet ‘How to Wire a Life for Love’ is available from Knucker Press. We are very much looking forward to seeing what inspiration free tea and coffee in The Project Cafe, amongst shelves of poetry in tell it slant, can bring!